Deeply influenced by pagan and Indian mysticism, contemporary philosophy and Russian Suprematism, Schwarzkogler was a founding member of Viennese Actionism, together with Günter Brus, Otto Mühl, and Hermann Nitsch. He performed his first Actionist work in 1964 with Mühl and his first autonomous Actionist work in 1965. 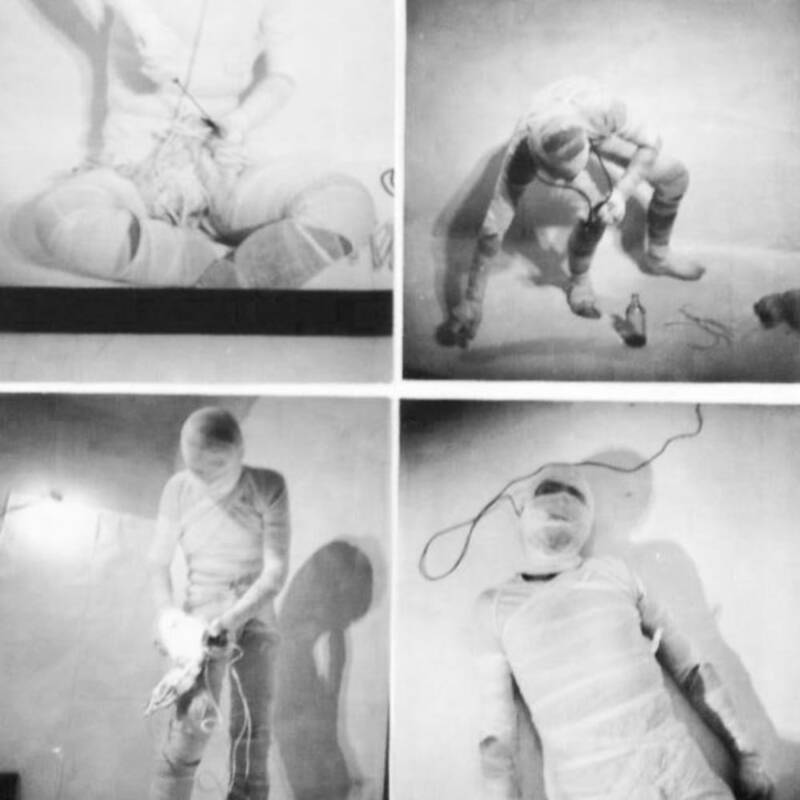 These staged private performances (“Aktions") in which he showed the amputated or self-harmed body covered in nets and bandages, were always closely documented by the camera and carefully staged. His sixth and final performance (Action) in 1966 marked the end of his performative career, though he continued to work on Action concepts. His diminishing mental and physical state over the following years culminated in his death in 1969 - when he fell from his apartment's window. His work is included in the collections of Tate, Metropolitan Museum of Art and Sammlung Friedrichshof, Austria.